As the nights begin to draw shorter and fires are lit, nature puts on its annual display of colour in the branches and leaves of deciduous trees across the northern hemisphere. 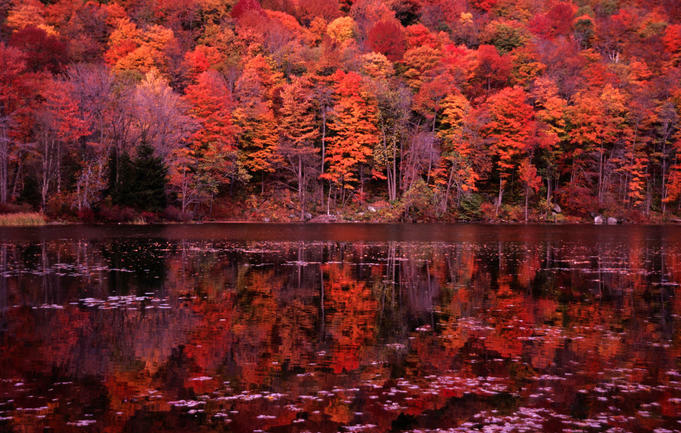 New England is famous for the reds, oranges, yellows and every shade in-between that come to the fore each October and November! Nature has spent countless millennia creating this and we as a species have grown up with this leaf shedding spectacle. Replicate this wonderful sight in your own home through the combination of rustic browns, yellows, oranges and reds. The colours of autumn: Charlotte’s Locks, India Yellow, Book Room Red, Incarnadine, Babouche and Citron.